From art exhibits to film screenings to operas to a celebration of life and death, this year’s UO LatinX Heritage Month honors the diverse LatinX community. With events spanning late September to early November, LatinX Heritage Month at the UO and across the United States examines and affirms the culture, history, traditions and current issues of diverse Americans whose origins or ancestors are from Mexico, Spain, the Caribbean, or Central and South America. Campus and community members can hear a gallery talk by artist Elsa Mora about her new exhibition, “Paper Weight: Works in Paper,” or see Diego Rivera’s “La ofrenda” and Rufino Tamayo’s “Perro aullando a la luna,” on loan for a year to the Jordan Schnitzer Museum of Art from the collection of Art Bridges. The Center for Latino/a and Latin American Studies will sponsor events with film director Peter Bratt, including a teach-in on film and activism and a film screening and discussion. Bratt is an award-winning screenwriter and independent filmmaker and the co-writer and director of “Dolores,” a feature documentary about the life of activist Dolores Huerta. Also, the Wayne Morse Center and the UO chapter of Define American will show a screening of the award-winning documentary, “Harvest of Empire: The Untold Story of Latinos in America,” followed by a discussion. Musical offerings include Cascadia Concert Opera’s “Tango of the White Gardenia,” an original chamber opera in English by Ethan Gans-Morse and libretto by Tiziana Della Rovere, and a performance by Grammy award-winning Estelí Gomez, sponsored by the Oregon Composers Forum. Both will take place in Beall Concert Hall. A two-day Día de los muertos celebration will happen the evenings of Nov. 1 and 2 at the Jordan Schnitzer Museum of Art. Día de los muertos is an annual celebration of life and death that takes place in Mexico, parts of Central and South America, and LatinX communities in the United States. Altars with offerings and traditional art, music, dance, food and poetry remember and welcome souls journeying to the world of the living for a brief visit. In addition to campus events, many happenings will take place in the community. UO Spanish professor Cecilia Enjuto Rangel, Centro Latino Americano director David Sáez and musician Rico Perez are featured in “Power in Puerto Rico,” an event at Temple Beth Israel. Fiesta Cultural features more than 30 events throughout Lane County celebrating the diversity of LatinX arts and culture. In an essay, “The Equalizing Force of History,” Yvette Alex-Assensoh, vice president for the Division of Equity and Inclusion, spoke of the significance of LatinX Heritage Month and the importance of remembering history during these challenging times. LatinX Heritage Month is officially called National Hispanic Heritage Month by the federal government and celebrated Sept. 15 to Oct. 15. Hispanic Heritage month first began in 1968 as Hispanic Heritage Week under President Lyndon Johnson. It was expanded to cover a 30-day period by President Ronald Reagan in 1988. Mid-September was chosen because it is the anniversary of independence for Latin American countries Costa Rica, El Salvador, Guatemala, Honduras and Nicaragua. In addition, Mexico and Chile celebrate their independence days on Sept. 16 and 18, respectively. Día de la Raza, which is Oct. 12, also falls within this 30-day period. 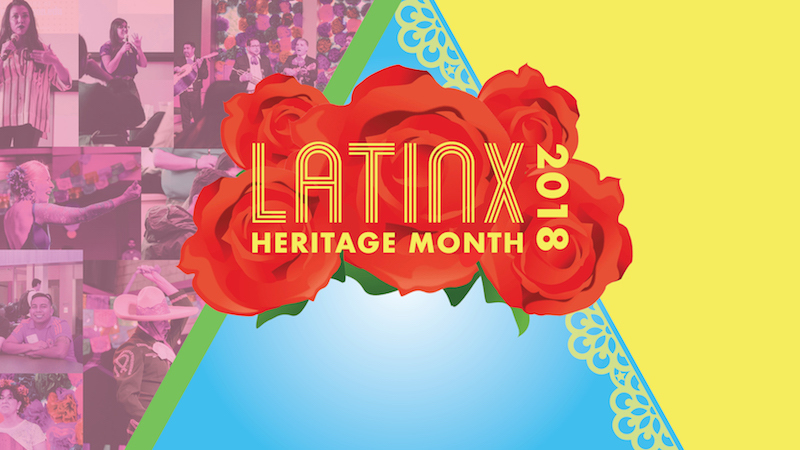 The University of Oregon honors the culturally preferred and more appropriate term of LatinX Heritage Month and expands events through early November. The term “Latinx” relates to people of Latin American origin or descent and is used as a gender-neutral or non-binary alternative to Latino or Latina. For more information on events, see the Division of Equity and Inclusion website.